This shows the basic action of the hip throws. Stand in the right natural posture. Step with your right foot to a spot just in front of your opponent's feet. Pivoting on the ball of your right foot swing your left leg and foot round to about the position where your right foot was first. You should now have made a complete turn and be facing the same way as your partner with your feet about shoulder width apart. As you take the first step with the right foot, let go of your partner's jacket, and as you swing your body and left leg round put your arm round the opponent's waist and pull him forward onto your right hip. Do not move close in to your partner with the foot movements. Turn more or less on the spot where you are and aim to pull the opponent forward and on to your hips. You should by now have your main pinned tightly on your hip with your legs slightly bent. To throw the man straighten your legs so that your partner comes off the floor and by swinging slightly round to your left side unload him off your hips. Your left hand helps to pin the man on your hips by pulling strongly forward in conjunction with the pivoting movement of the feet and body. 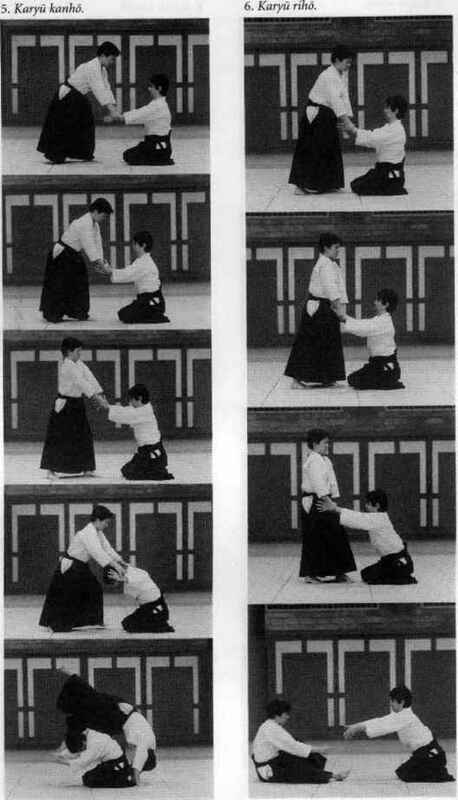 This technique is rather difficult to do as a straight throw. The reason is that when you let go with your right hand the opponent usually knows what you have in mind and defends strongly against it. However, in a mix-up when one man has attacked and failed with, say a hip throw, it is possible to do. In this case when he is still close to you slide your arm round his waist and when he moves out from his own attack follow up immediately with this hip throw. Another occasion when it is possible to attack with o-goshi is when for some reason or other you are only holding with your left hand. This happens very often. Instead of resuming the normal grip on the lapel with your right hand jump in quickly, pulling strongly with your left arm, and whip your right arm round your partner's waist in one movement. Two variations on this throw can be employed. 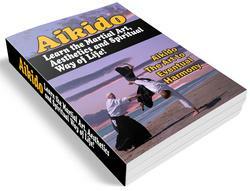 The first is to throw your right arm round your opponent's neck and head instead of his waist. This can be used with great effect by a tall man on his shorter opponent. The other is to hold your partner's belt at the side and heave him up and onto your hips. This can be a very powerful throw. It does not depend on too much speed and can be used by a slower short stocky man. These two variations have slightly different names in Japanese but I consider them as more or less similar to o-goshi.